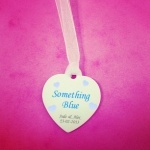 A heart shaped "Something Blue" personalised wedding bouquet charm. 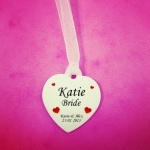 A wonderful heart shaped personalised memorial wedding bouquet charm. 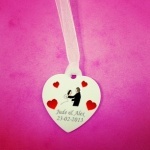 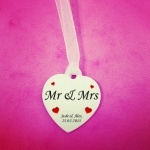 A heart shaped personalised wedding bouquet charm.